When it comes to short term, safe and reliable ways to store your money, a high interest savings account is a good way to go. They provide easy access, and best of all, no volatility! But don’t be fooled by what some banks refer to as ‘high interest’. And don’t underestimate the difference between 0.5% and 2% when it comes to you savings interest rate and how it will grow your money. A high interest savings account it pretty much exactly what the name describes. 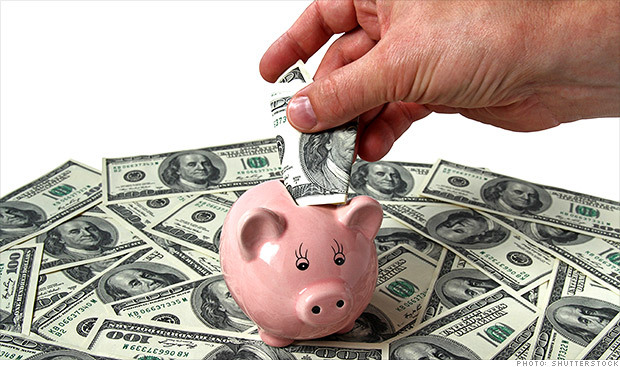 It is typically a savings account that provides someone with a fixed yearly interest that’s paid out monthly. This type of account provides predictability – you know exactly how much you will earn, and it will always be available – there is no risk! High interest savings account’s are a good option for someone looking to store their short term savings, or emergency funds. What is considered “High interest” by the big banks? These are pretty ridiculously low rates! Saving your money in one of these accounts may leave you further back than ahead. The $10,000 you stored in this account made you $80 of interest by the end of the year, but still left the purchasing value of that $10,000 less than what it started. How are people supposed to safely store their money without it losing it’s value over time? That’s a $714.13 difference in purchasing value of your money in a year! All for doing nothing but storing your money in an account with a better savings interest rate. But are these banks reputable? Never having heard of some of these banking institutions that RateHub.ca suggests may leave some people a little nervous. Check that the bank is CDIC insured if you’re worried about an online bank that you’re thinking of using . I’ve found places like Red Flag Deals and highinterestsavings.ca are you usually the place to go to get the lowdown on these unknown banks and credit unions, so look them up if you still have any concern.